About Pet Insurance Australia – 30 Years’ Worth of Experience 1800 043 552 - Locked Bag 9021, Castle Hill, NSW 1765 0.0 We are a family owned Australian Pet Insurance business. With our years of experience, we ensure that your pet is covered in case of injury or illness. We are a family owned Australian Pet Insurance business, with a long & successful history in the pet industry. Not only do we have years of experience, but we have an international reputation for excellence. As a family, we have a long and successful history in the pet industry. We take pride in the fact that we are not just business owners; we are pet people and pets are part of our daily lives. We believe that being passionate is the key to business success and we’ve delivered exactly that to all our customers. After many years of being in the pet industry game, we started to realise that pet owners just couldn’t afford the rising cost of vet care. We started to offer to pay for their vet bills to make sure their pets receive the best treatment, not only because we know pets are important to owners, but because we are passionate about our customers and their pets. No animal or person should suffer, because of something as simple as expensive vet care. Receiving the money back was not a priority for us. The health of the pet was far more important. After a bit of thinking and our unprecedented motivation to always look after our four legged friends, we launched PIA in 2008. Since then we’ve seen concerned expressions about financial worries disappear and relieved smiles appear, witnessing first-hand how beneficial pet insurance could be. Thousands of customers, including you, can now benefit from their pets being insured. We are pet owners ourselves, so we know the joy our four legged friends can give us as well as the heartfelt pain you experience when you lose them. That is why we focus only on pet insurance to ensure that your pet is always covered in case of an accidental injury or illness. We will be honest with you, as we always are and will be, not everything will be covered with all insurance policies. To help you understand the cover that we offer, we have put together some Questions and Answers. A quick guide to help you make a decision that would best fit you and your pet. We also provide you with our Product Disclosure Statement and Financial Services Guide which we recommend you read, so that you understand what is and isn’t covered. Administered by PetSure (Australia) Pty Ltd (AFSL 420183). Hollard is Australia’s leading pet health insurer, with over 18 years of international experience in this area of insurance and currently insures many thousands of pets around the world. 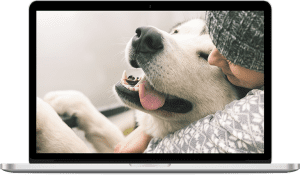 PetSure (Australia) Pty Ltd is Australia’s leading administrator of pet health insurance policies with over 18 years of rich experience in this field and specialises exclusively in pet health insurance administration.